The Dinaric Arc Parks project developed from the Big Win document, the commitment of 6 ministers from the Dinaric Arc region to cooperate on natural resource management, protected areas in particular. When signing the Big Win agreement in 2008, ministers from the Western Balkans region gathered for the very first time after Yugoslavia was divided. Three international conferences were organized during the Dinaric Arc Parks project (2012-2015), each gathering over 150 people from more than 10 countries. At the 2nd Dinaric Arc Parks international conference held in Budva, Montenegro, in December 2013, representatives of Albania, Bosnia and Herzegovina, Croatia, Kosovo*, Macedonia, Montenegro, Serbia and Slovenia endorsed the Big Win for Dinaric Arc, a key agreement for the protection of the environment in the region. Under the agreement, countries formally committed to strengthen regional cooperation in conservation and sustainable development, to assess the economic value of their natural capital, while integrating nature conservation goals into economic development plans for fisheries, forestry, agriculture, energy, spatial planning and cross-sectoral cooperation, without disturbing fundamental natural values in the process. 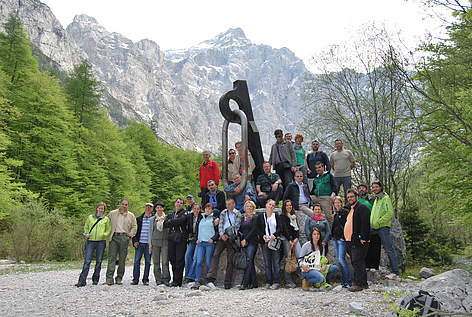 Over 100 protected area practitioners gained first-hand experience of protected areas management practices in other countries of the region and Europe through several study tours organized within the project. For the study tour to Provence, France, three parks were used as an example of protected areas that had developed sustainable tourism. Sixteen Dinaric Arc parks were inspired by WWF to begin the process for the European Charter for Sustainable Tourism. By the end of the project, 5 parks were awarded the Charter: Una National Park (BiH), Lonjsko Polje and Medvednica Nature Parks (Croatia), Gornje Podunavlje Special Nature Reserve and Fruska Gora National Park (Serbia). The future of protected areas depends on people valuing the full range of protected areas benefits, including their contribution to economic and social development. WWF has used the assessment of values and benefits of protected areas (PA-BAT) to assess the value of 58 protected areas with the participation of over 1500 stakeholders from local businesses, protected areas staff, tourism operators, local producers, scientists and decision makers. The results of the assessment are the basis for the development of new economic opportunities and improvements in policy. The regional association Parks Dinarides – network of protected areas of Dinarides was officially established in Podgorica in December 2014, a major achievement of the Dinaric Arc Parks project. The headquarters of Parks Dinarides is in Montenegro. Networking of parks, technical support and excellent promotion of parks are among the main aims of Parks Dinarides, along with supporting the protected areas of the region in attracting funds and mutual development of projects. Parks Dinarides adopted the brand developed for the Dinaric Arc Parks project, with the slogan "The World Undiscovered", the logo and all communications tools (blog, Facebook account and website).